Dreams Are Calling. : The Intercontinental Tour. 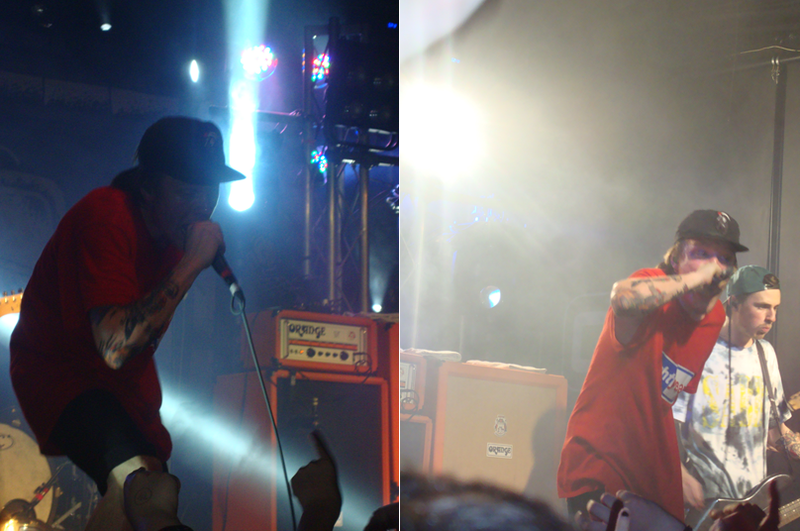 Thursday night saw me taking a trip to Brighton to see some of my favourites, Neck Deep!! I got there just after Trophy Eyes had started. These guys are from Australia. I had heard of them but never listened to them. They were really good. A lot of fun and I quite enjoyed their set. Next was Seaway. Again, I've heard of them but never really listened to them. A lot of people seemed to like them but I don't know. I didn't dislike them, I just couldn't get into them. The third support were Chicago's Knuckle Puck. These guys are pretty big news right now. Going in I already knew some of their songs. Their set was amazing and I highly suggest you check them out if you haven't already. I doubt they're going to stay underground for long. Finally, it was time for Neck Deep. I haven't seen these guys since the We Are The In Crowd tour a year ago. They played to about 300 people, and maybe 5 people knew who they were. 2014 saw the release of their debut album, a kerrang award, multiple festivals and tours in Australia and America. Whilst Thursday saw them headline to 600 people. I'm incredibly proud of how far they've come; they're pretty big stuff right now. Their set was easily one of the funnest I've been a part of. Neck deep are raw, energetic and if you're debating going to see them- just go. I guarantee you'll have an amazing time. Listening to: Knuckle Puck- No Good.